This month, the New Zealand International Film Festival began its circuit around the country, with the first set of screenings opening last week in Auckland. For film junkies, the arrival of the annual festival usually signals the same things: zero sleep, angry ignored friends, posture deformities, and emptied bank accounts. Life comes to a standstill – if only for a week or two. I should admit from the outset; my taste in film gravitates much more towards visceral, full-contact experiences over the peripheral and contemplative. And while film festivals can often try hard to evoke a gloss of art and abstraction in a marketplace of pointless remakes, tweeny clones, and raging Hollywood commercialism – the NZ festival usually offers up enough cinematic temptations for this mostly-action addict. Director Greg Mottola charts terrain similar to his breakthrough hit, Superbad, with this coming of age comedy starring Jesse Eisenberg (The Squid and the Whale) and Kirsten Stewart (Twilight). 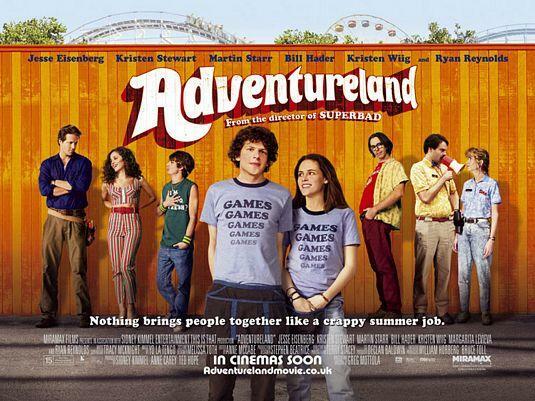 Set in a Pittsburgh amusement park during the eighties, Adventureland may have some of the inevitable gross-out gags that marked his previous entry but don’t be fooled. With a script drawn from Mottola’s own awkward early life experiences, the writer-director searches for a much different tone in this depiction of the lethargy and wistfulness of emerging adulthood. Jesse Eisenberg stands in for Mottola as James, a game attendant who pines for Em (Kirsten Stewart), herself already involved with married park handyman Mike (Ryan Reynolds). Comedic turns from the supporting cast add to the fun and balance the melodrama. At the damp tail-end of our winter, I can’t think of anything more sorely needed than a summer romance flick. And with all the up and downs of youth, can you really get a better cinematic metaphor than a Theme park? This film should need no explanation. Extricating himself from the bloated cadaver of that massively successful but overdone Spiderman trilogy, Sam Raimi returns to reanimate a genre better known for corpses and one he himself famously began in (Evil Dead 1,2,3). What might need explanation is why it counts as one of my picks. I try to the avoid splatterfests, and Drag Me to Hell – co-written with brother Ivan Raimi – sounds every bit to live up to the promise of its title. The narrative hinges on the plight of Christine (played by Alison Lohman), a loan officer who denies an extension on a mortgage to an old gypsy woman (Lorna Raver). When the gypsy eventually dies, Lohman inherits both a curse and a demon intent on taking her on a hell-bound road-trip. With Raimi’s reliable direction, I don’t think I could ask for a more riveting or revolting entry into the genre. Frankly, my only goal in this one will be to leave the theater with a pulse. 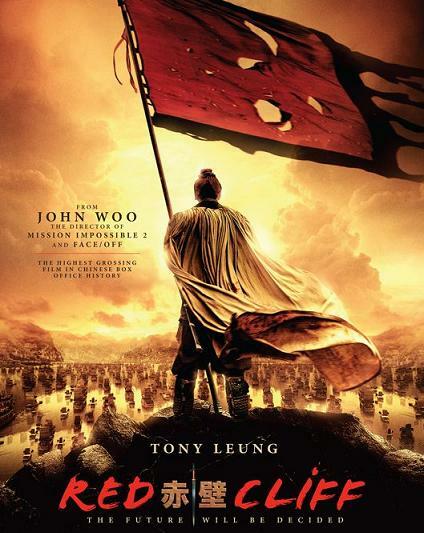 When John Woo was asked to assist the Chinese film industry, he did what he does best: make an action epic. But not just any epic. Woo’s latest film, Red Cliff, boasts unprecedented production resources (the largest budget of any Chinese-language film ever made) and a story excavated from one of China’s best known historical conflicts. Starring Tony Leug (In the Mood for Love and Lust, Caution) Kaneshiro Takeshi (House of Flying Daggers), the film follows the third-century alliance of two kingdoms against the million-man army of an oppressive Han dynasty Emperor. For testosterone-groggy fans, John Woo’s Hollywood ride never really delivered on the potential of his early Hong Kong blockbusters (Face-Off perhaps came the closest). Red Cliff might be a return to his kinetic best, with balletic action and sprawling battlefields that have had critics eagerly comparing to Jackson’s Two Towers. Next up, my final three picks: an anti-thriller, a strangely dark children’s film, and – my favourite of the festival – a mind-bending sci-fi tale.